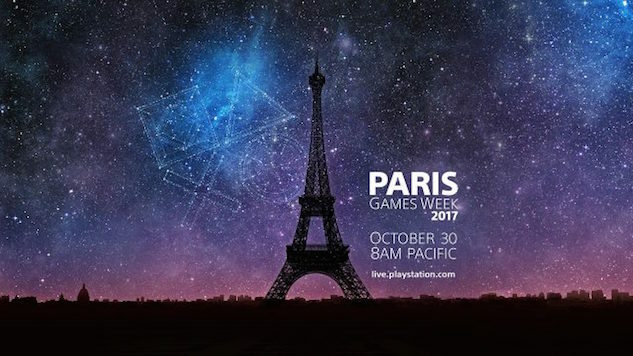 Sony hyped up their showing at the Paris Games Week, teasing 21 updates on PlayStation games and seven new games announced for PlayStation 4 and PlayStation VR. The showcase gave us new looks at previously announced games like the God of War reboot, and an absolutely brutal scene from The Last of Us Part II. New game announcements included Spelunky 2 and Ghost of Tsushima, from Sly Cooper and inFamous developer Sucker Punch. The pre-show mainly focused on indie titles and virtual reality titles, with announcements for Metroid-style Guacamelee 2 (featuring co-op play), a quite pretty fantasy game called Oure, which releases today, and a Max Payne meets Hotline Miami-styled game titled The Hong Kong Massacre. The main show provided updates on Destiny 2, with its first expansion titled “Ghosts of Osiris” launching for Playstation 4 on Dec. 5, and new looks at Insomniac’s 2018 Spider-Man game, the Shadow of the Colossus remake, David Cage’s choice-driven Detroit: Become Human and the new God of War, aka “Kratos and Son.” A large focus was put on PlayStation VR, with titles like spy-action game Blood & Truth, space pirates game Bow to Blood, zombie feeding game Dead Hungry and hero shooter Megalith. But the main show opened with the surprising announcement of Spelunky 2, the sequel to the much-celebrated platformer. This follow-up appears to focus on the child of the Spelunky protagonist, leading us to question why this game isn’t titled “Son of Spelunky” or “Spelunky Jr.” Sony’s “one more thing” closer for the show was a brutal new trailer for The Last of Us Part II. Opening with totally unknown characters, we see uncomfortable acts of violence involving hanging, arrows and hammers. The trailer ends with a brief look at the infected, finally indicating that this is, indeed, a Last of Us game. The show-ending sizzle reel and archive of the entire presentation (including the pre-show) are embedded below. You can find more details on these games on the PlayStation Blog, and check out a number of interviews with the developers on the PlayStation YouTube channel.